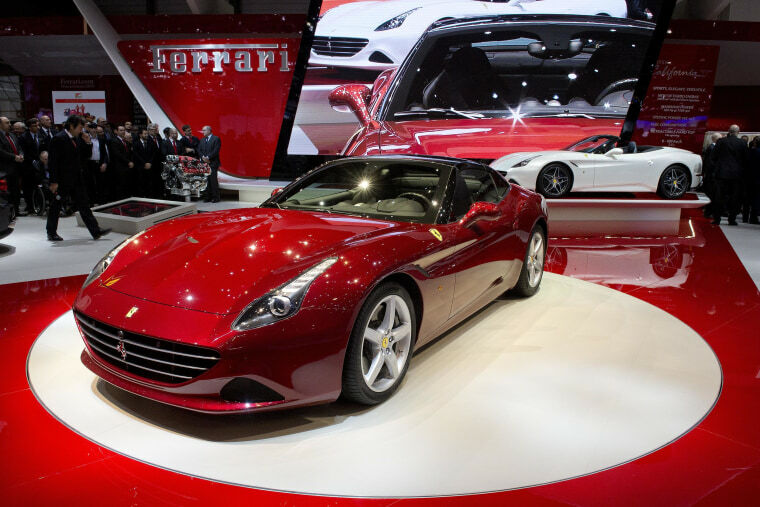 Ferrari North America Inc., a division of Ferrari NV, is recalling some 2016 California T vehicles due to the risk of a fuel leak in the engine compartment, according to a U.S. Department of Transportation (DOT) notice on Friday. The recall, which began on Dec. 14, affects up to 185 vehicles manufactured between Sept. 8 and Nov. 11, 2015. The higher risk of a leak, which increases the chances of fire, was the result of a manufacturing defect in a part provided by a supplier, according to a filing with the National Highway and Traffic Safety Administration, a division of the DOT. The move comes after Ferrari, owned by Fiat Chrysler Automobiles NV, recalled upwards of 800 cars in the United States to fix a problem with its Takata airbags over the summer. Ferrari issued a stop sale notice to dealers of the 2016 model California T, which has a list price of just over $167,000 according to The Car Guide, on Nov. 23, filings show. Dealers will replace the line free of charge, the notice read.